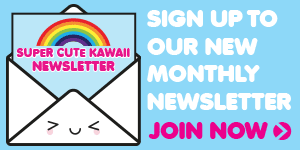 Our Kawaii Favourites of 2017 - Super Cute Kawaii!! 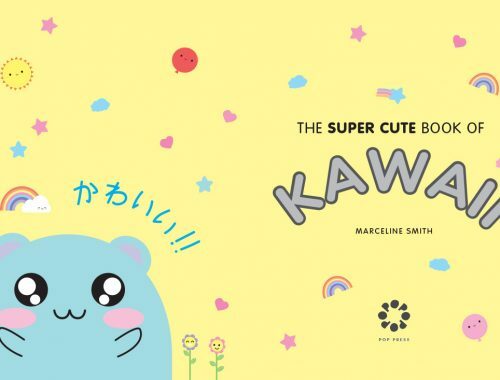 We’ve been too busy to run the SCK Awards for a few years now, so I thought it might be fun to ask the SCK writers to share their top kawaii picks for the year. See if you agree with us! Marceline: Sumikko Gurashi. I’ve been relating a lot to Shirokuma (polar bear) this year. 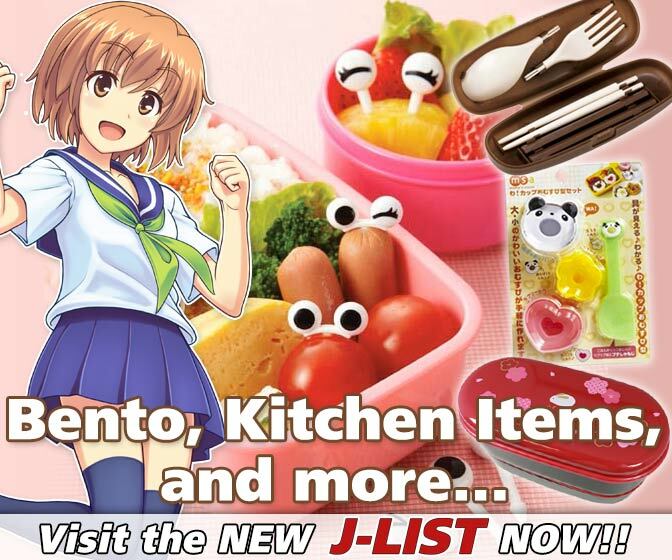 Andi: This changes frequently, but Marumofubiyori right now. It’s a mouthful but he’s just so cute. I’ve already bought all the stationery items available featuring him at the moment. He also has videos! Nicolette: Same-zu sharks. They’re cute and totally hilarious! 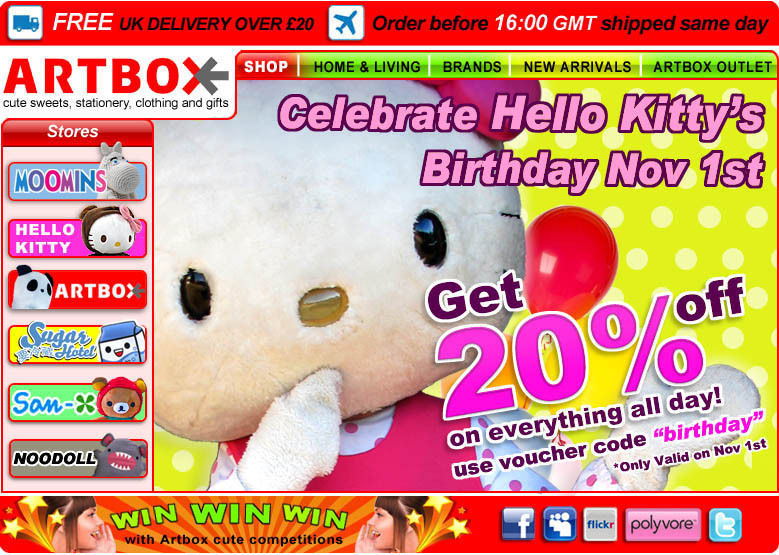 Marceline: AmiAmi and Tofu Cute online. 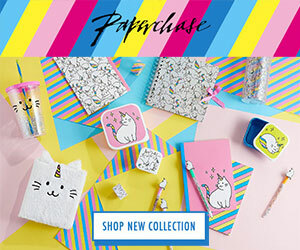 Hannah Zakari and Paperchase in person. 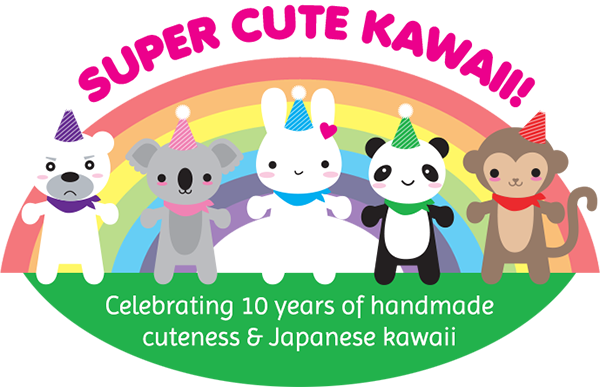 Andi: Kawaii Shop Japan – they offer a huge stationery assortment, very fair shipping costs, and freebies with every order. They generally update on a weekly basis, too, which has made me an embarrassingly frequent shopper. Natasja: Kawaii Shop Japan and AmiAmi. 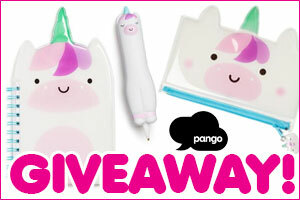 MissMuffcake: IT’SUGAR – I go for the toys but like that they have vegan candy and even have a handy list at the counter! I also shop at Hot Topic a lot for gifts and also for myself! 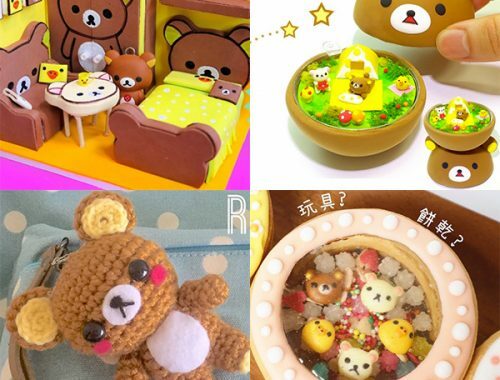 Nicolette: ARTBOX – I love popping in when I’m in central London to browse all the cute things featuring some of my favourite characters Sumikko Gurashi, Rilakkuma, Jinbe-san and Pusheen. Marceline: Pony People and The Pink Samurai – I bought so many cute enamel pins from them, and yet could easily have bought way more. 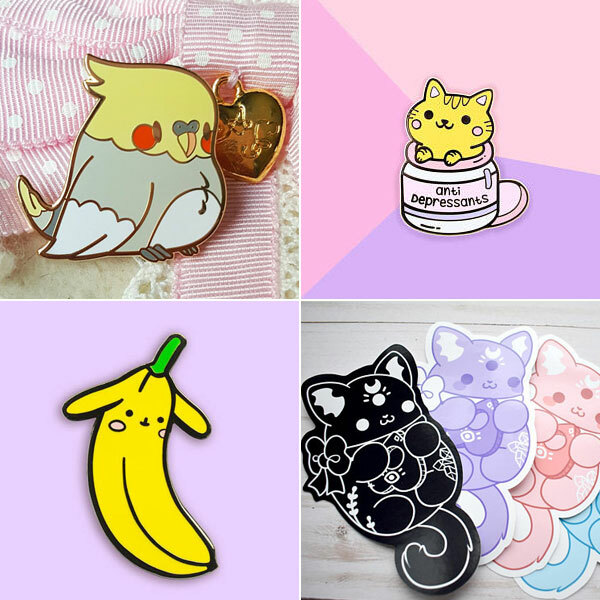 Andi: PreciousBbyz – their birb pins make me seriously want to start a collection, even though I really, really don’t need to start collecting anything else! MissMuffcake: Bright Bat Designs – lots of cute mixed in with spooky twists. Also Black Lily Pie – cute cats and great customer service! Nicolette: Milk Bun for their adorable characters, cute pins by Robot Dance Battle and the amazing ceramics by Myostery that I totally covet but they always sell out too fast! Marceline: I’m still not a big video watcher but I love Rainbowholic TV and Cakes With Faces. Andi: CreativeRachy. I’ve been subscribed to her for years, and she was one the first Youtube crafters I ever watched. Her videos were a big influence on my decision to take up clay crafting. Natasja: The bullet journal videos from AmandaRachLee. MissMuffcake: IdunnGoddess – fun, easy to make crafts that are easy enough for the glue gun challenged to do. 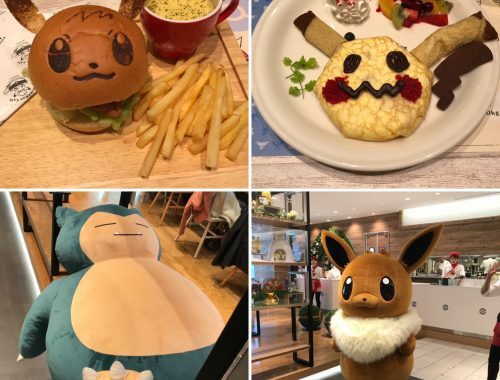 Nicolette: Cakes With Faces – Amy makes the best videos about Japan and I always want to go back when I watch them. Marceline: @noodoll and @corocoro_coronya. I enjoy following the daily adventures of plush toys. 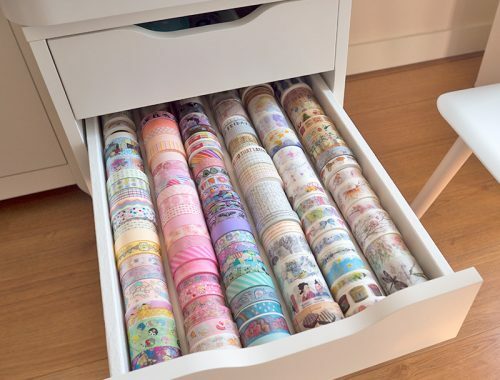 Andi: This is so hard to choose, but overall I find myself browsing @miki.takei‘s page very often. Her art style and color palettes are inspirational for me in coloring and crafting. MissMuffcake: @sugarpill – I love their makeup and behind the scenes videos of their office cat Turkey. 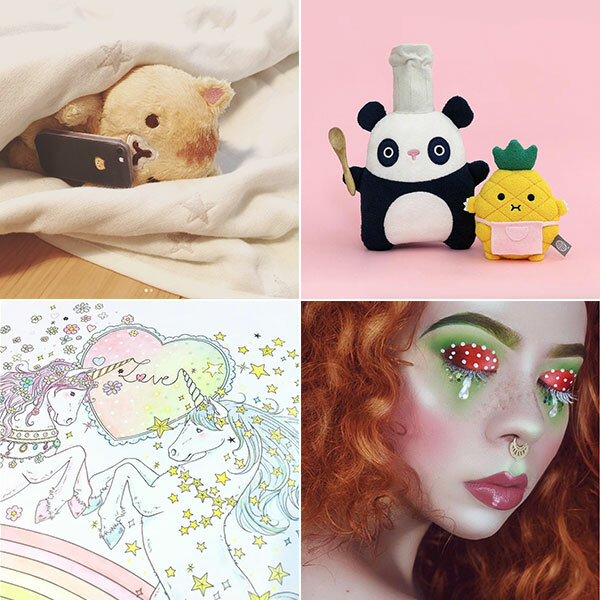 Nicolette: @noodoll – I just love their characters and all their shenanigans! 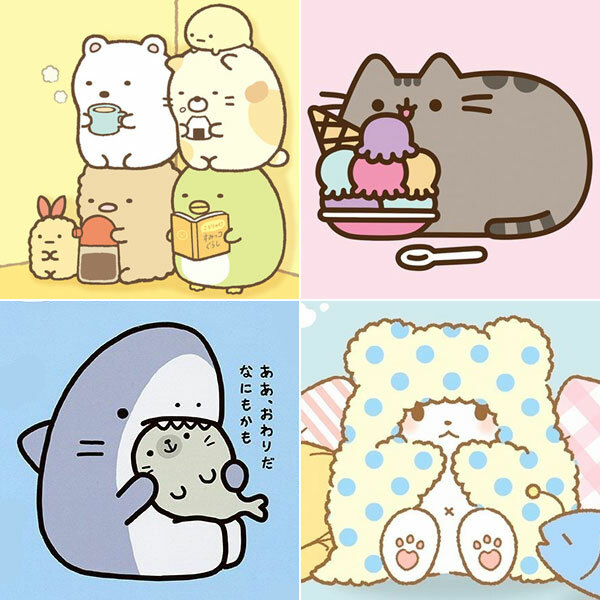 Marceline: I still play Pokemon Go every day and I love Sumikko Gurashi Puzzling Ways. Even when it gets frustratingly hard, the characters are so cute! Andi: It’s still Animal Crossing Happy Home Designer. It takes most of my favorite elements of the series and puts them into a more casual form that doesn’t require committed gameplay to enjoy it. MissMuffcake: Just Dance 2018 for Wii – I look forward to this game every year! The fashion is always an inspiration! Nicolette: Animal Crossing: Pocket Camp – It’s a very simplistic version of the game but still so addictive and I love interacting with my favourite villagers on my phone. Feel free to join in and list your picks in the comments. Check back tomorrow to see the cutest things we bought this year! 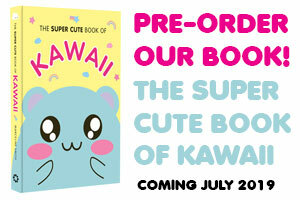 Welcome to the new Super Cute Kawaii! And Marumofubiyori is definitely a 2017 fave, together with Sumikko characters! !